Above & Below: A Franken from fellow blogger Grace. It's shown outdoors in sunlight above, and outdoors with no flash in the shade, below. Below: Close-up of the finish. 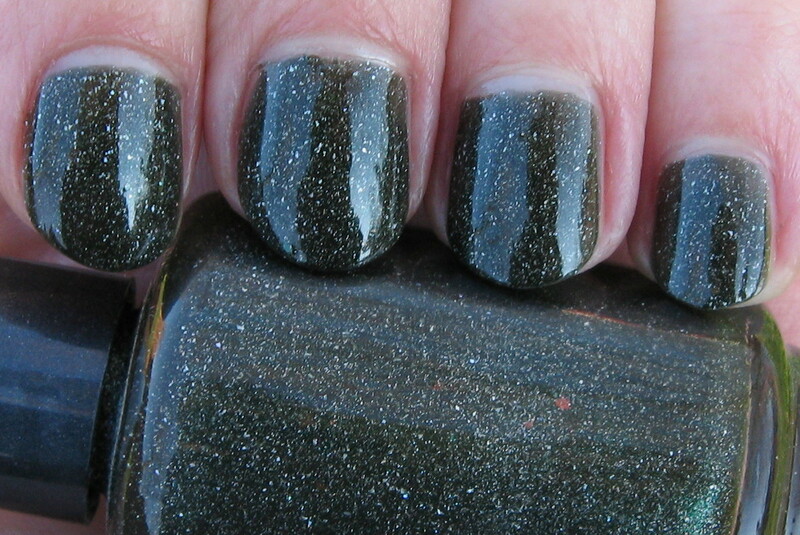 It appears to have a dark green creme base, although it could be a shimmer base. At any rate, I love it! This is a Franken that was sent to me from the lovely Grace, the proprietor of The Kitchen, The Closet & The Laboratory blog. Grace has had a couple of fantastic blog sales, and in my last purchase, she included one of her Frankens. I was also pleased when I had drawn her name as my Elfster recipient. I have no idea what she mixed to come up with this polish, but it's such a pretty shade of forest green, and I just love it. It has a multitude of shimmer and glitter colors in it, but unfortunately, I couldn't capture how beautiful it is in real life with my photos. She did an excellent job, whatever she did, because it applied perfectly with 2 coats and dried to an ultra-glossy finish very quickly. Now it just needs a name! Ooo, that is such a pretty green! I like this much more than $opi 212! Oooh, pretty! Look at that glitter, amazing! Beautiful shade of green. Love all the shimmer. Looks fantastic on you. That was so nice of her to include that. You cut your nails! I almost didn't recognize them! What a gorgeous colour! I love it. Gorgeous!! Would love the "recipe" for this one! Eli~that's a very fitting name! ~Lisa~isn't it pretty! I wouldn't even begin to guess what she may have used! gildedangel~I really like it, such a unique shade of green. keerthamina~I wish I could've captured it better, because it's so pretty! 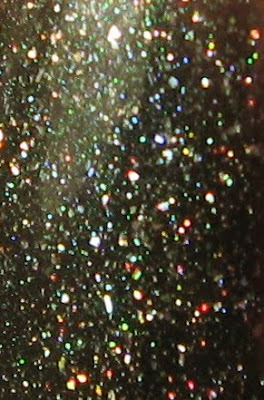 Danica~the glitter is so pretty, even when it's not in the sun. Lucy~it was very nice of her! I was so excited when I saw it. Glittermille~thank you! She did an outstanding job. Euridice~I would be very curious to know what she used! It's so glossy and it dried ultra quick! Product Review: Savannah Bee Company Royal Jelly & A Giveaway! 2009 - 2017 BODY & SOUL BEAUTY, All Rights Reserved. Powered by Blogger.